Permanent augmentation of the back part of the jaw, known as the jaw angles, ramus or gonial region, has become popular as a frequent complement to chin augmentation. This is done through either standard or custom jaw angle implants or a one piece total jawline implant. 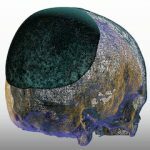 Whether choosing standard implants or making a custom design from the patient’s 3D CT scan, the decision is always about what type of change is desired. In some cases it may be whether jaw angle augmentation has aesthetic merit or not. This speaks to the merit in some patients of testing the facial augmentation first by injectable fillers. 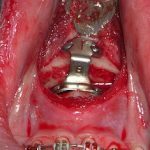 While this does not always give a completely accurate assessment of the push that an implant may provide off of the bone on the overlying soft tissues, it is a well known presurgical maneuver. 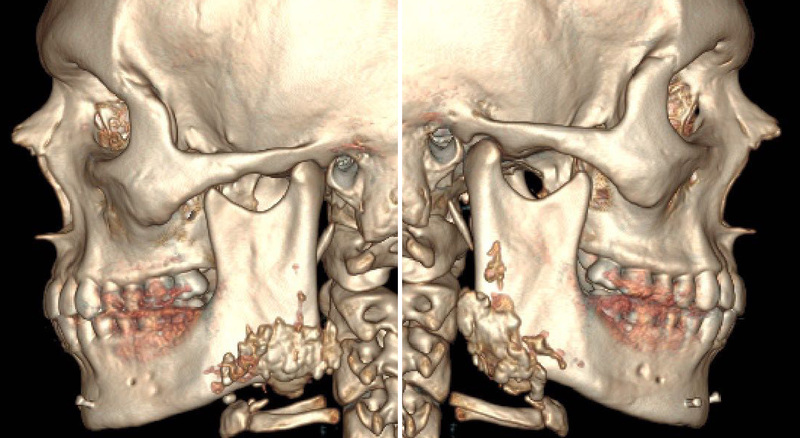 Many injectable fillers can usually be seen in a 3D CT facial scan. This is particularly true for Radiesse which has a more radiopaque quality. It is ready seen in the temples, cheeks, chin and jaw angle areas. 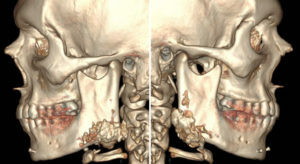 I have seen it may times in innumerable 3D CT scans when doing treatment planning for custom facial implants. The attached images shows the material over the jaw angle regions. In some cases, if the filler has produced a desired augmentative change, it can provide some useful information about how to make the dimensions of the implant in the jaw angle region. This is particularly true for jaw angle widths. If a pleasing increase in jaw angle width has been obtained, this can then be measured and transferred to aid the implant’s design with a more assured aesthetic outcome. While the outcomes from injectable fillers and implants in the face is not a 1:1 correlation, filler deposits by their visibility in CT scans, can be useful guides in some aspects of facial implant selections and the designing of custom facial implants.